When thinking about auto mechanics, many people outside of the industry picture a man lying on his back rolling out from under a vehicle. However, with advancements in automotive equipment, that’s not really the case anymore. 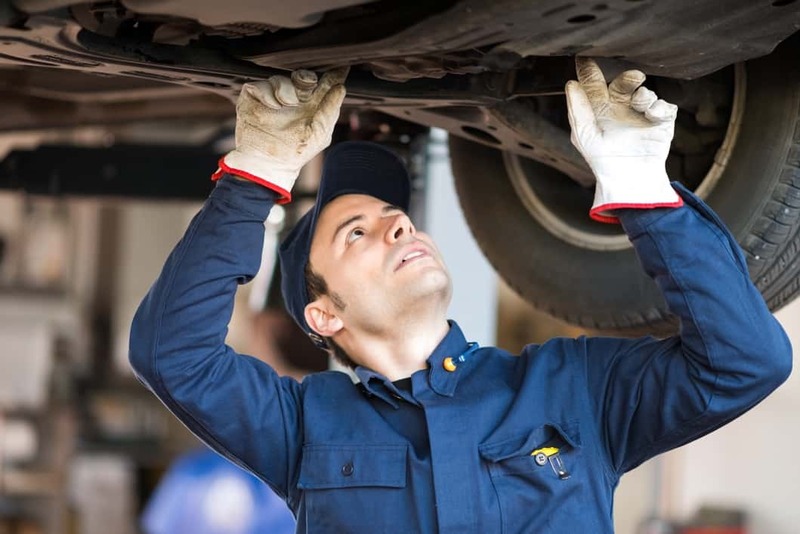 Today, auto mechanics use a variety of lifts to get cars off the ground so that they can safely and easily access the underside of a vehicle. Chesapeake Automotive Equipment invites you to learn more about the history of car lifts. In the 17th century, a mathematician, Blaise Pascal, first introduced the idea of how a hydraulic jack would function. He went on to develop Pascal’s Principle, which is also known as the Transmission of Fluid-pressure Principle. The principle states that in a closed system, equal pressure in all directions is created when pressure is put on fluids that can’t be compressed. Then, in 1795, Joseph Bramah, an engineer of British decent, patented the first hydraulic press. The patent was a pivotal moment in the entire industry as it was used for a wide variety of purposes such as molding, punching, forging and clinching. Before the first hydraulic car lift was invented, one more important invention had to happen — the hydraulic jack. In 1851, Richard Dudgeon invented the first jack and patented it under the name “portable hydraulic press.” Students earning their auto mechanic certification may be interested to know that workers didn’t just use water to operate the jack; fluids like whale oil and even whiskey were used to create the hydraulic processes! As cars became more popular, the need for car repairs followed. In the early days, repair shops would have to dig holes into the ground where mechanics could stand when working on cars. The vehicle would be driven onto a short ramp, allowing the mechanic just enough space to perform repairs. Although this configuration was a huge help at the time, it still had its drawbacks. Digging large holes was very expensive, and the lighting in the holes wasn’t ideal. Thus, the need for something better quickly grew apparent. It wasn’t until 1925 that the first hydraulic car lift was patented, thanks to Peter Lunati. The idea came to him while sitting in a barber’s chair. Inspired by how easily the chair could move up and down, Lunati set out to bring similar technology to vehicle lifts. His invention, the Rotary Lift, is still sold today. The first hydraulic car lift gave way to a number of important lift inventions for the automotive industry. In 1989, a scissor hydraulic car lift was patented and, in 2000, a 4-post hydraulic multiple vehicle platform lift was created. Today, there are five options that mechanics have when it comes to getting a vehicle off the ground. The 2-post mounted car lift is the most popular option today. It has two lift arms on either side of the vehicle which are firmly attached to the floor. A beam runs between the two posts and supports the vehicle. Multi-post car lifts are another option which requires the car to be driven onto a wide ramp. Other options include scissor car lifts, low- or mid-rise frame engaging lifts, and wheel engaging mobile units. Chesapeake Automotive Equipment offers the best lifts in the industry from top brands such as Challenger and Hunter Engineering. For more helpful advice or additional information about our products, visit us at www.chesautoequip.com.